After the previous week delivered the biggest landslide of the 2014-2015 school year in voting for the Preps Utah player of the week, Week 12 brought the closest finish in more than two years. 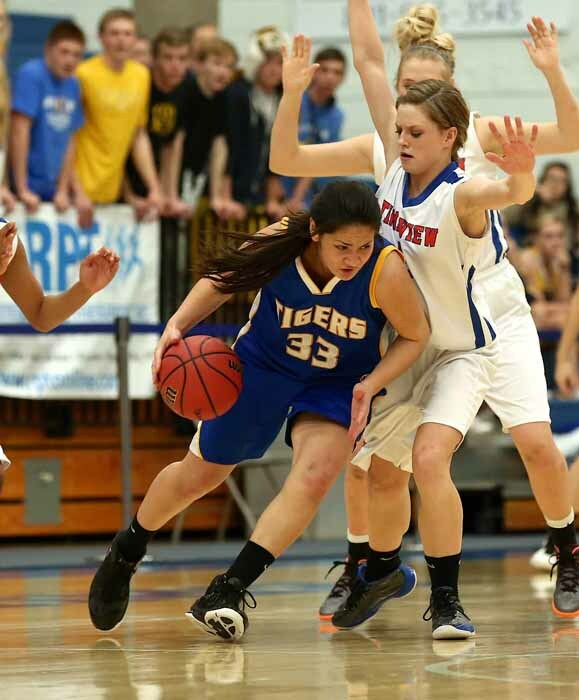 Orem High girls basketball star Cylee Tuimaunei held off Granger’s Jessica Matheson by just seven votes as Preps Utah readers responded online at PrepsUtah.com. With nearly 1,000 total votes cast, Tuimaunei received just under 36 percent, to claim the top spot in voting for the holiday-induced two-week voting period that comprised the weeks of Dec. 29 and Jan. 5. Matheson finished at 35 percent. Layton basketball’s Hailey Bassett received 20 percent of the support, and the remaining 9 percent of the votes were divided equally between Sky View’s Lindsey Jensen and Ashley Beckstrand from Desert Hills. Tuimaunei, a 5-foot-7 senior guard. is one of the best scorers in the state this season, averaging 16 points per game. 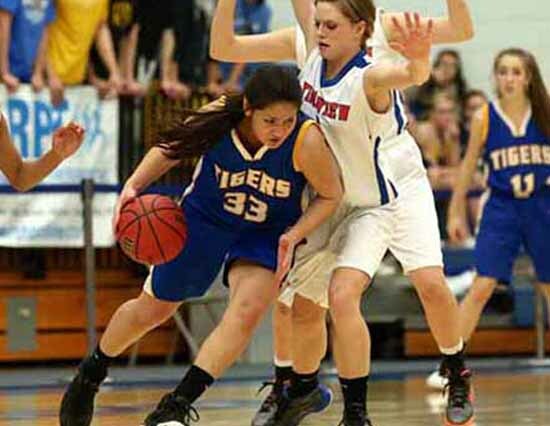 She is a four-year varsity player for the Tigers, who averaged double-figure scoring as a junior and just under 10 points a night during her sophomore campaign. She will receive a Preps Utah Athlete of the Week t-shirt and be entered into the pool for a school year-end drawing for a possible scholarship. Now that the holidays are over, the one-week voting norm returns, as five boys basketball players are in the spotlight this week, looking for your support as Preps Utah player of the week. The candidates are Jake Lindsey from Olympus, Zac Seljaas of Bountiful, Herriman’s David Maynard, Bosten Van Der Veur of Park City and Spanish Fork’s Hunter Schofield.